We provide science-based strategies to support the natural lifting community & develop our athletes' careers. 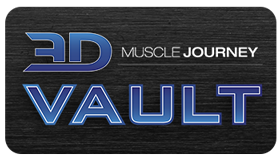 3DMJ offers premier competitive coaching services to 100% drug-free bodybuilders and powerlifters at all levels. The 3DMJ Newsletter includes our newest articles, podcasts, videos, and announcements delivered straight to your inbox every few weeks. No spam. Just info from our coaches and community. What is Luck and is it Necessary For Success in Competitive Bodybuilding?